Passing through the Sikh, we emerged, looking upon the facade of the Treasury, rising high above us. 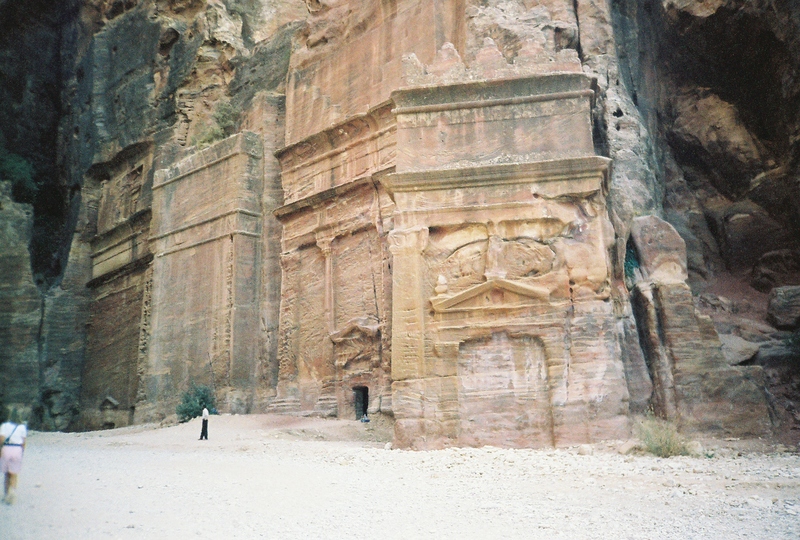 The rose-colored rock-cut building marks the entrance to the lost Nabatean city of Petra. Feeling much like the explorer who disguised himself as a Bedouin to discover the secret, the treck through the narrow gorge which rises 80 meters above head itself was spectacular. And the reward was awe-inspiring. 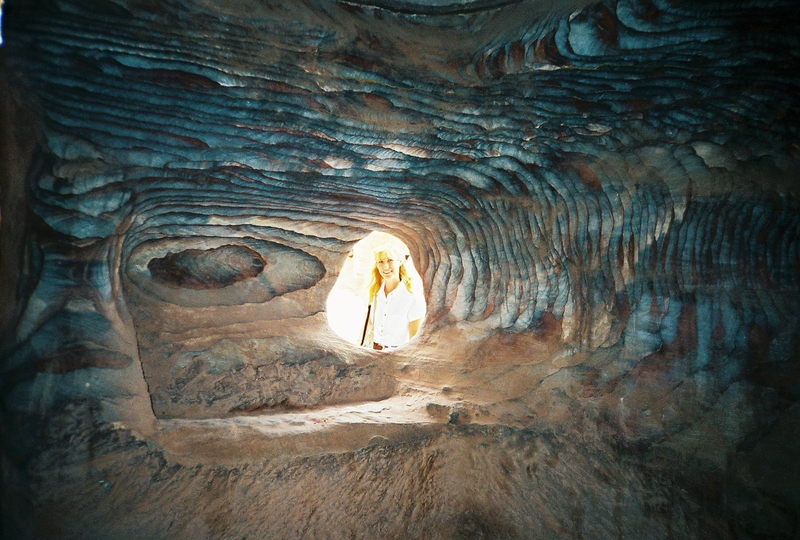 The Treasury was only the first of the many architectural wonders of this centuries old site. 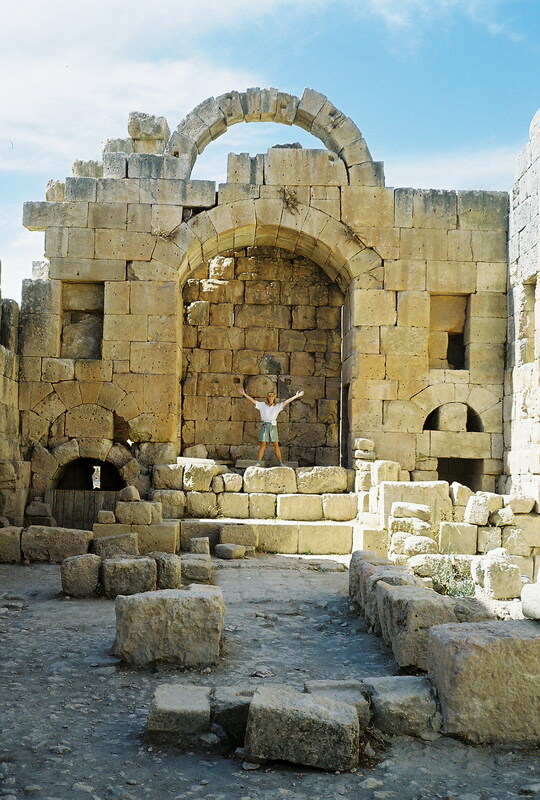 Meanwhile, Jordan offers much more, from the Roman ruins we explored at Jerash, to the Ottoman Village where we stayed, from the delicious ice cream we tasted in Amman, to the mud baths we took before floating in the Dead Sea. 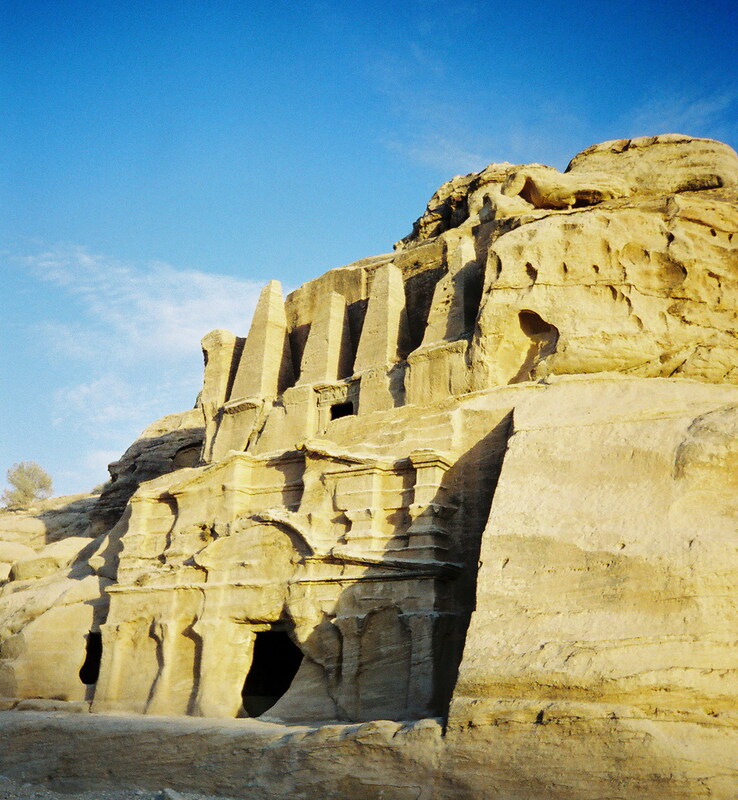 Gallery | This entry was posted in Photography, Travel and tagged Amman, Bedouin, Dead Sea, ice cream, Jerash, Jordan, mud bath, Ottoman village, Petra, Roman ruins, Sikh, Taybet Zamen. Bookmark the permalink. Those are some crazy spectacular photos! Thank you so much for sharing … beautiful! 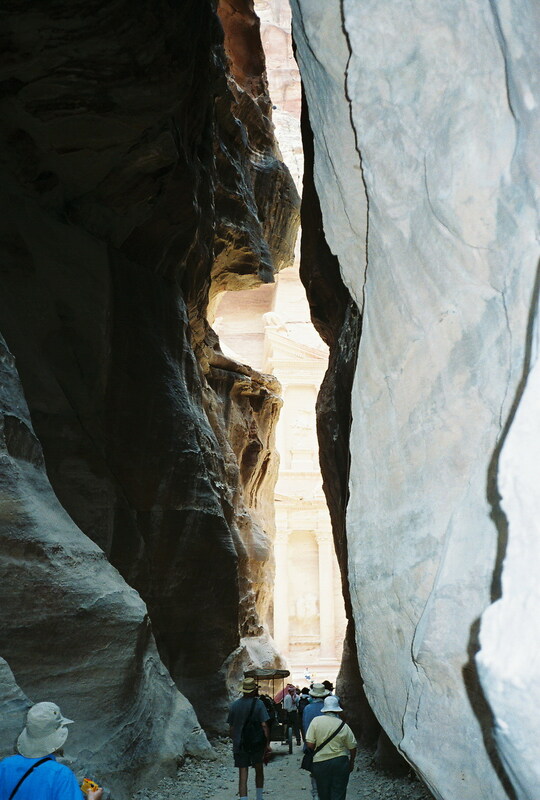 Am planning a quick get-away to Jordan and I is sheer coincidence that I chanced upon your blog. Thank you for the photographs. Beautiful indeed. Note that it mentions the Taybet Zamman Hotel. It is an old Ottoman village. Very cute, up in the hills. 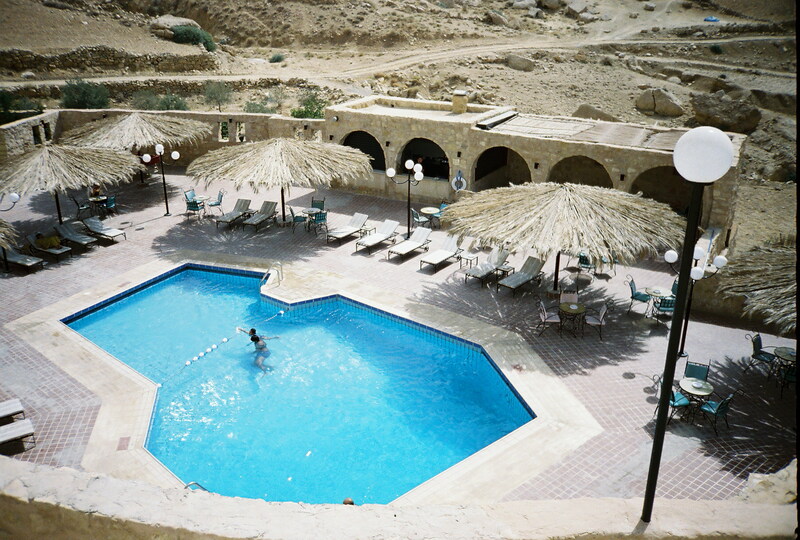 Not mentioned in this itinerary is an afternoon spent by the Dead Sea. There was a Spa there, but we made our own mud baths and swam (floated) about. Great pictures, great place. I want to go there. 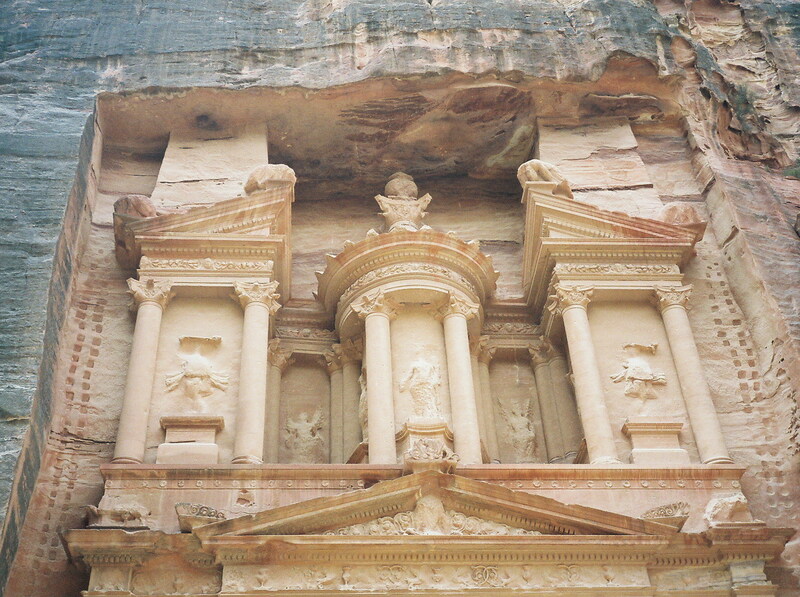 Petra is pretty amazing. It takes you to a different world. Beautiful pictures. 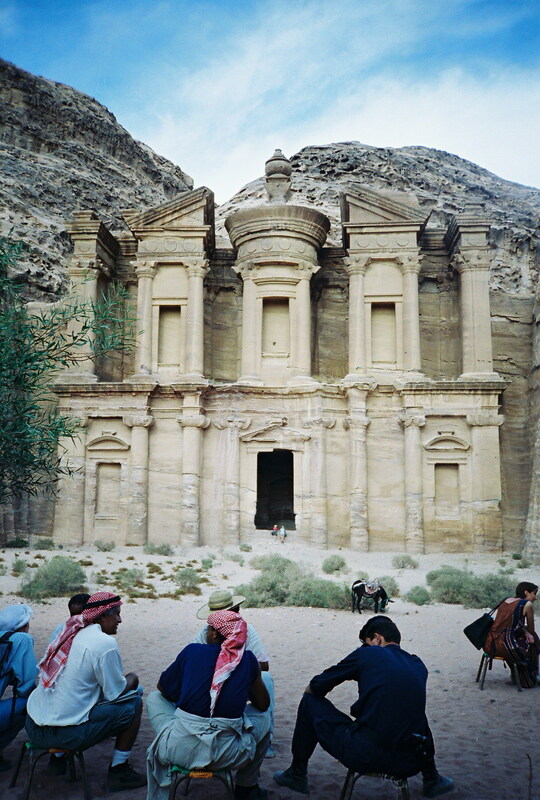 I plan to study in Jordan in the summer, so this entry was really visually inspiring. Wow–fabulous photos! WOW! And congrats on freshly pressed! 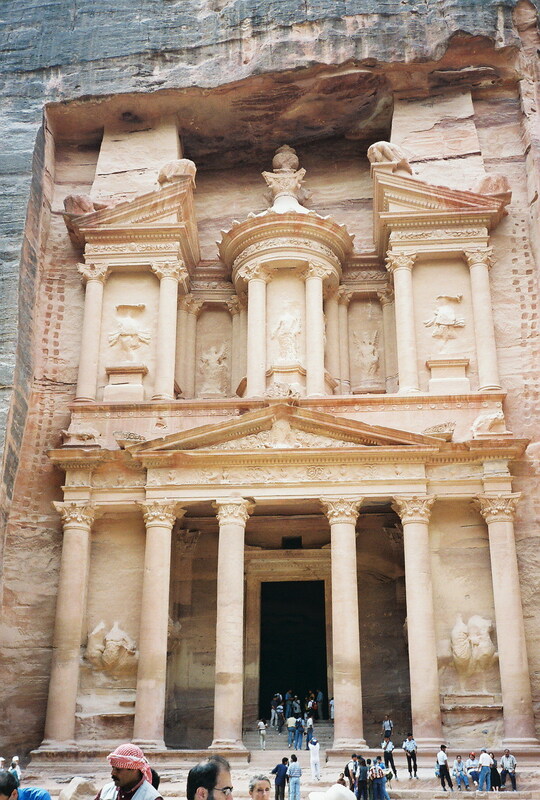 I have always wanted to visit Petra, ever since I first heard of the place. Captivating photographs, really makes me want to go! 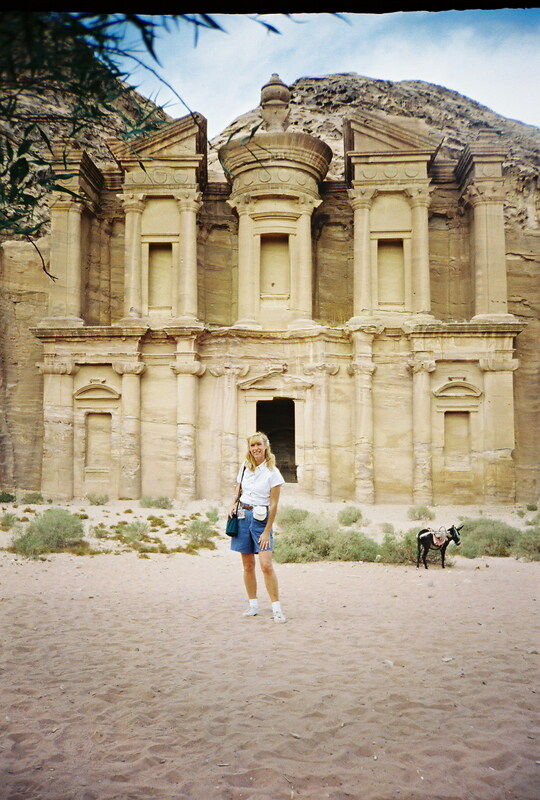 Petra has always been a dream of mine. Your pictures are amazing. I would love stay at the Ottoman Village! Awesome pictures! Did you feel like Indiana Jones? I would love to see this stuff in person. Thanks for the beautiful photos! This brings back memories of one of my favorite places I’ve ever visited! Great pictures thanks for sharing! Gorgeous! I’ve always wanted to go to Jordan! Might take a trip after I graduate. Is it really expensive? Great pictures, I would love for me an my wife to go one day!!! wow it just looks fantastic!! 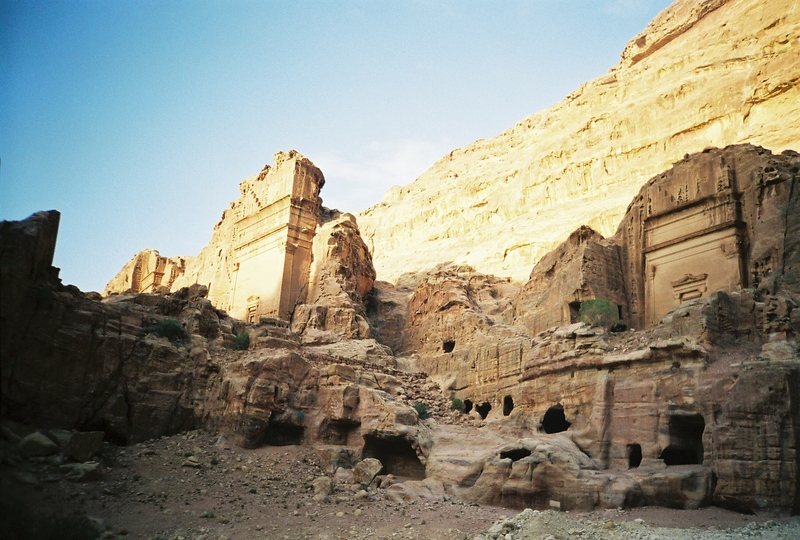 I’ve always wanted to see the Lost Nabatean city of Petra in person since I saw it featured in Indiana Jones and the Last Crusade. Great pictures! Spectacular photos! 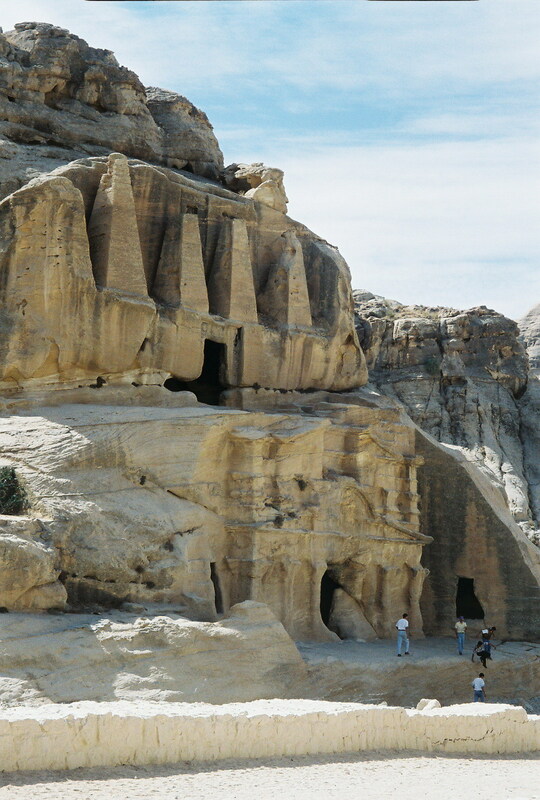 Jordan is one of the top destinations on my list of places to visit. Thanks for sharing! Looks like an exciting adventure. Definitely adding it to my list of must see places. 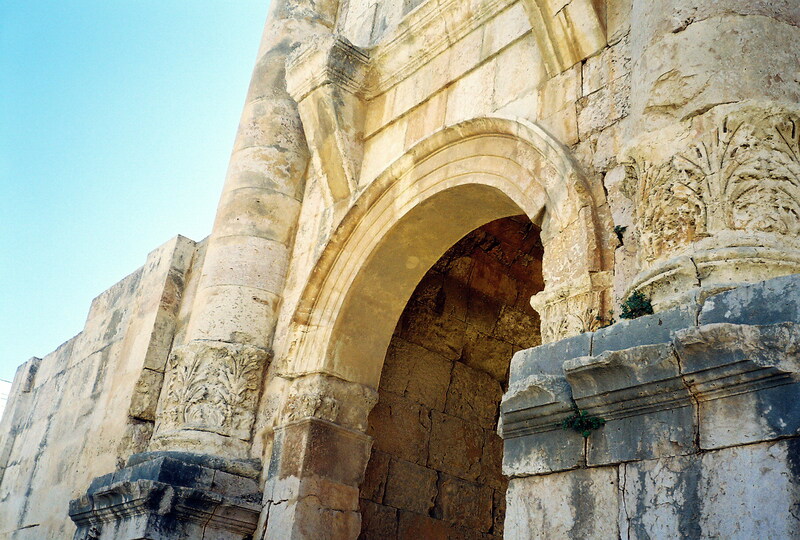 Those pictures look amazing, modern technology doesn’t compare to ancient architecture. Never been here. Love the architecture! Amazing…Tks a lot for your sharing. 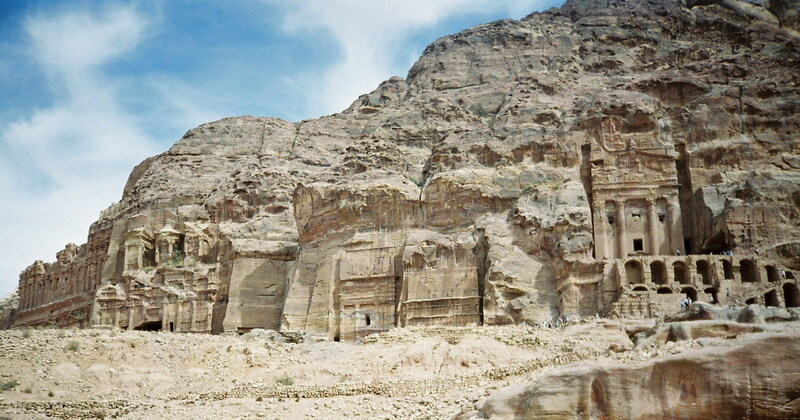 Been to Petra… took the carriage ride. Wrong decision! didn’t got lots of pics, but the place does magificent! You’ve captured the greatness of these buildings so well! I can’t imagine the impressiveness of them in person. I think I would be in eternal awe of such structures. 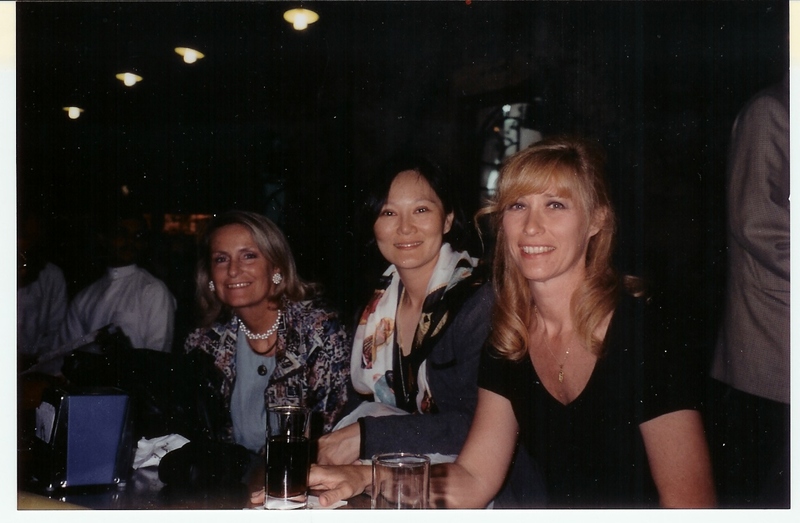 Thank you for sharing your images. Nice pics. The first one caught the pink shade so beautifully. Congrats for being Freshly Pressed. Wow, such beautiful architecture! The shots are well taken too. Looks like I have another place to add to my “I should go there!” list. wow this is a great place. Photos are too great. 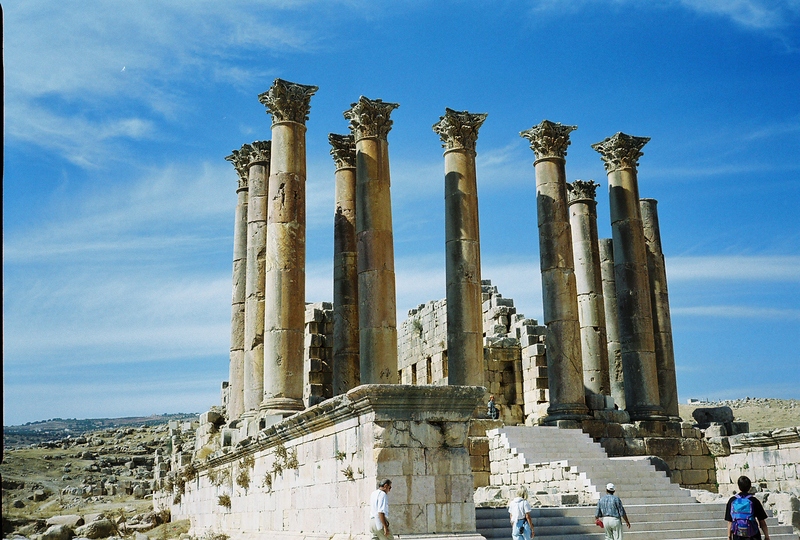 Of course, Jordan is a beautiful and faithful to beautiful tourist places. i smell history when i look at the pictures. Good job. 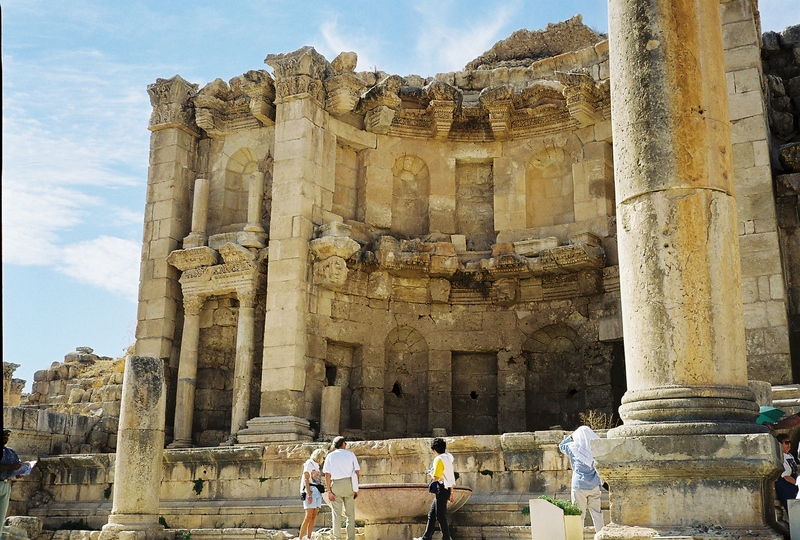 i advice you to visit Ancient City of Ephesus in Turkey. You ll love it. btw if you are interested in interior design and architecture you can visit my new blog. Great photos. You truly have a great eye. 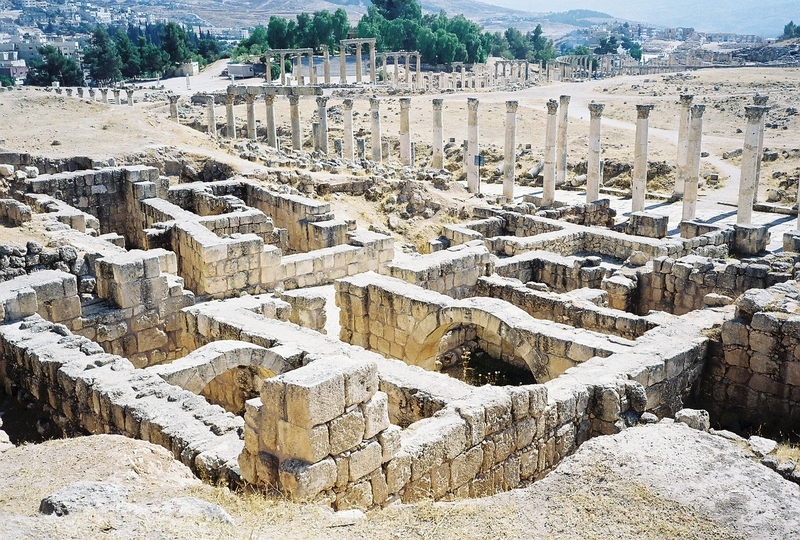 Jordan has has a rich history. I hope to one day see it in person. Thanks for sharing the beautiful photos. They bring back fond memories. I have been to Jordan, 14 or 15 times. 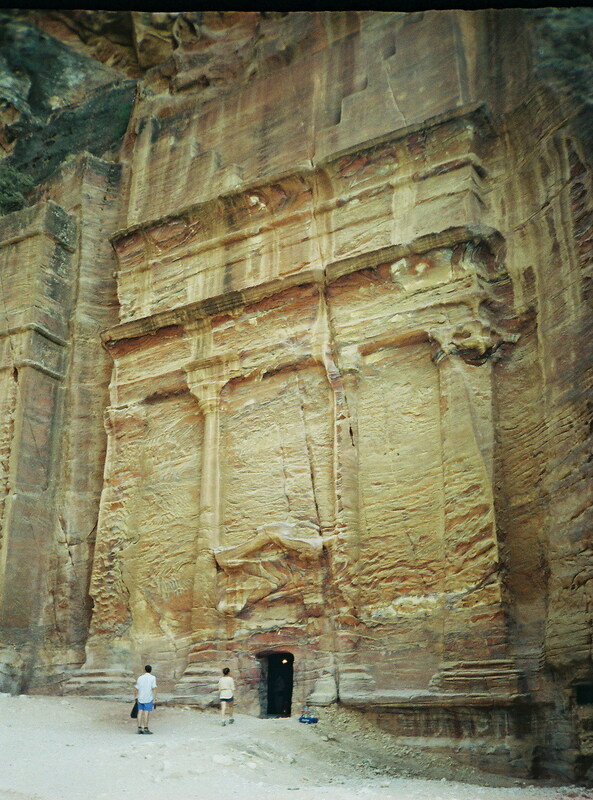 Always for work, but I made sure to find days to visit Petra or Jerash or the Dead Sea or other places. 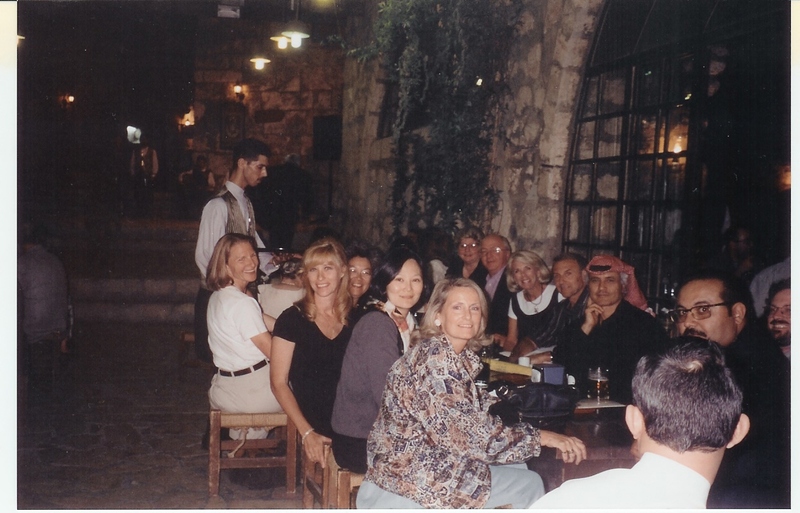 Amman is one of my favourite cities, not because it is beautiful – most of it is actually rather drab – but because of the warmth and hospitality of the people. Jordanians are wonderful. PS – I visited Poland for the first time last year (Poznan) and the Poles were just as warm. They are like Slavic Arabs! PSS – Sorry I could not get the correct first letter of your name in this message. I know that it is pronounced like a “w” in English. Beautiful pictures! I hope to get there some day. Thank you for sharing these on your blog, And your blog is very useful to me. 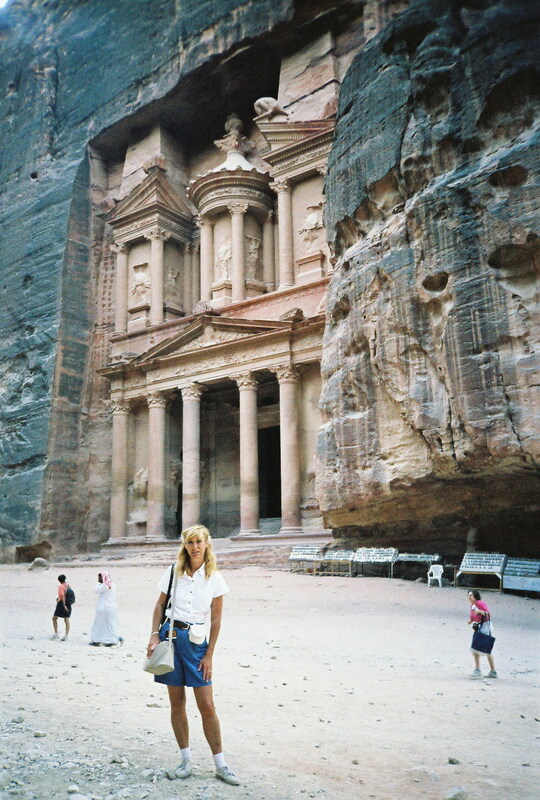 It is so good to see a fellow traveller enjoying the marvels of Petra. I went there in January and was blown away and posted pics on my blog too. Great pics! Thanks! Today i has joined on your site. I hope – we’ll be associates. I simply wanted to write down the remark in order to say thanks to you for those fantastic suggestions you are giving out at this web site. Personally I think I’m very blessed to have come across this web page and look forward to a lot more thrilling occasions reading through here. Thank you once more for all the particulars. Hiya very nice web site!! Man .. Beautiful .. Superb .. I’ll bookmark your web site and take the feeds additionally…I’m satisfied to search out numerous useful information right here within the post, we’d like develop more techniques on this regard, thank you for sharing. . . . . .
Amazing web site you’ve here however i had been curious about if you understood of any community forums that cover exactly the same subjects talked about in this article? Cheers! Looks good, i went ahead and bookmarked it on Digg.com under “Jordan | Do GÃ³ry”. Kudos! I have bookmarked your site, keep up the good work. You’re a very intelligent person I am glad info! I see others have copied from this page which you are the original author. I strongly agree on you, I hope that others will remember read this page! keep writing mate! Hello! I’ve been following the blog for a bit now last but not least got the bravery to go forward and provide you with a shout from Houston Tx! Decided to share with you keep in the fantastic job! Hey, good blog, seems a pretty nice platform youre utilizing. This web site has a good amount of extremely useful information regarding it. I appreciate you for sharing it! Excellent site. A whole lot of useful info here. I’m certainly sending it to many friends ans also sharing in delicious. And obviously, interesting sweat! I’ve been visiting your websites for some time after now and that i always get a gem within your new posts. Appreciate your sharing. Appreciate you fantastic info I found myself attempting to find these records for my mission. I’m impressed, I have to say. Really hardly ever do I encounter a blog that’s both educative and entertaining, and informative. Excellent. I’m extremely impressed with your writing skills and with all the layout on your blog. Are these a paid theme or do you customize it yourself? Your postis valueble to me. Thanks! You are so cool, the posts on your blog are super great. I stumbled uppon your web blog and found it informative. Your site’s content is direct, clear, and to the point. I’m planning on taking a look at more of your articles. Keep up the good work! You need to write much more about this. Whoa. Fantastic article. Please keep writing because I like your style. Muy bueno. Te voy a tener que visitar yo entonces. Tremendous things here. I’m very glad to see your article. Appreciate it for looking towards contact you. Would you like to kindly drop me a mail? Looks like college research here. I can see you probably did a lot of hard work and so i appreciate that fact. This is quality content. This blog is outstanding, informative and most interesting. I have thoroughly seeing the sights. Great write-up, I am normal visitor of your blog, and I’m going to be a regular visitor for a long time. Again you come forth with great article. Thanks a lot, I’ve truly been on the lookout for something like this for a while now, and your blog is the best I’ve discovered. You’ve got an excellent blog there continue. I’ll be watching out for more posts. I was considering a bit of your articles here and i believe this internet site is very informative! Continue posting. Very great post. I simply stumbled upon your weblog and wished to say that I’ve truly loved surfing around your blog posts. After all I’ll be subscribing on your feed and I hope you write once more very soon! After read several of your blog articles, I truly enjoy your style of blogging. I bookmarked it and will be checking back soon. The excellent current posts keep me coming here several times over. Thanks to you. This weblog is superior. It consists of everything I wanted to see. After researching a few of the weblog posts on your web site now, and I truly like your way of blogging. I bookmarked it to my bookmark web site checklist and will be checking again soon. Greetings, this is a genuinely absorbing internet blog and I have cherished learning various from the content and posts. If conceivable, would you mind updating your blog with more information? It is very helpful to me. Good post. I learn something from blogs everyday. I learn from other writers. I’d like to use some some of this on my blog whether or not you don’t mind. Natually I’ll offer you a link in your internet blog. Thanks for sharing. Oj, thx mate! I enjoy this. Wow, marvelous weblog format! How long have you ever been running a blog for? you make blogging look easy. The total look of your website is magnificent, as neatly as the content!